The promotional activities for PAMEX 2020 are in full swing with its continued presence at other international shows, this time at All in Print 2018, Shanghai, China (October 24-28, 2018). 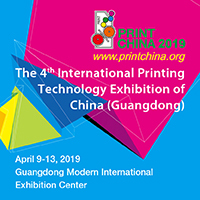 China International Exhibition for All Printing Technology & Equipment (All in Print China) is one of the most influential exhibitions in China’s printing industry. The exhibition, co-organised by the Printing Technology Association of China, China Academy of Printing Technology, and Messe Düsseldorf (Shanghai) Co., Ltd, has seen six successful sessions since 2003. 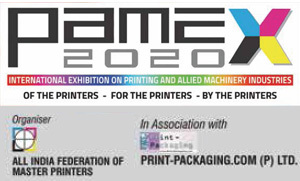 All India Federation of Master Printers (AIFMP) had a dedicated booth at the event, jointly with Offset Printers Association, to promote PAMEX 2020. Building over the unprecedented success of PAMEX 2017, the next edition of PAMEX, which is scheduled to be held from January 6-9, 2020 at Bombay Exhibition Centre, Mumbai is attracting lot of attention from international companies. Team PAMEX including Prof. Kamal Chopra, Chairman, PAMEX; Raveendra Joshi, President, AIFMP and Anil Arora, President, Print-Packaging.Com (P) Ltd were all out to meet the participants at All in Print, informing and inviting them to PAMEX 2020. Keyin Media, the representative of PAMEX in China was also actively engaged in updating the exhibitors about the developments at the event. 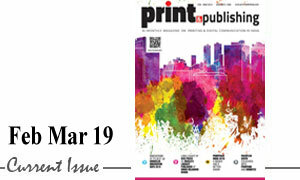 The exhibitors showed a positive approach towards the Indian market and the next edition of PAMEX.